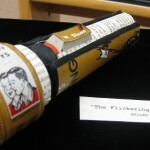 This piece was commissioned by the Peter Norton Family in 1997 and donated to Hope College by David Kamansky and Gerald Wheaton as a part of a significant gift of art and art books given to the Kruizenga Art Museum and Van Wylen Library. 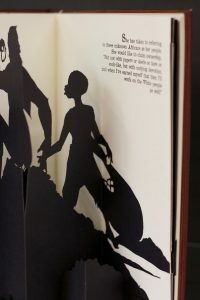 If you would like to view this book in person or show it in a class, contact Jessica Hronchek. Please come explore these materials and deepen the campus conversation around this important topic! 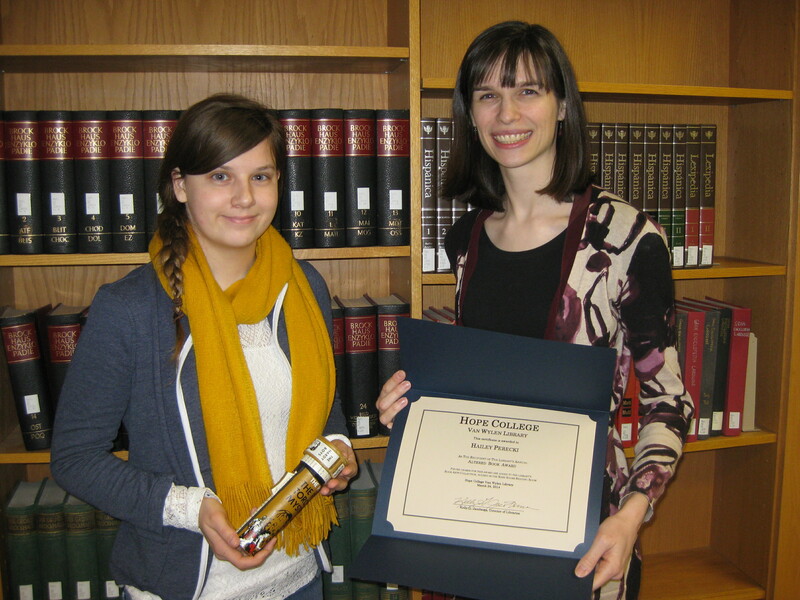 Hailey Perecki, winner of this year’s Altered Book Art Award, with librarian Jessica Hronchek. As the winner, Hailey received a certificate from the library and will have her piece added to the permanent collection in the Rare Book Room. 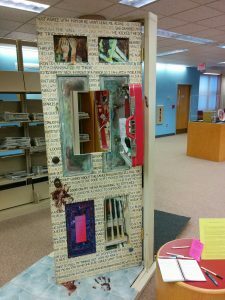 All winners of the Altered Book Art Collection are available to be viewed upon request by contacting askalibrarian@hope.edu. 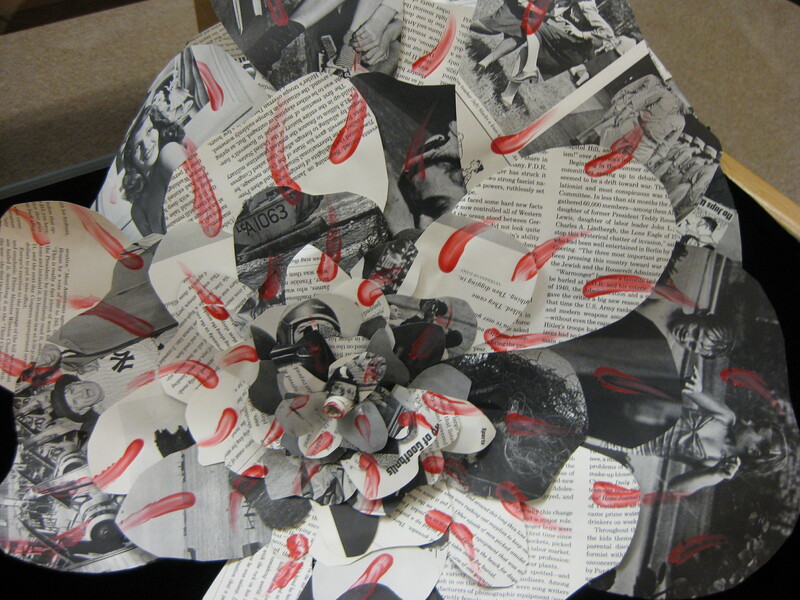 It’s that time of year again, a time where we can look forward to Spring and Stephanie Milanowski’s Class Project! 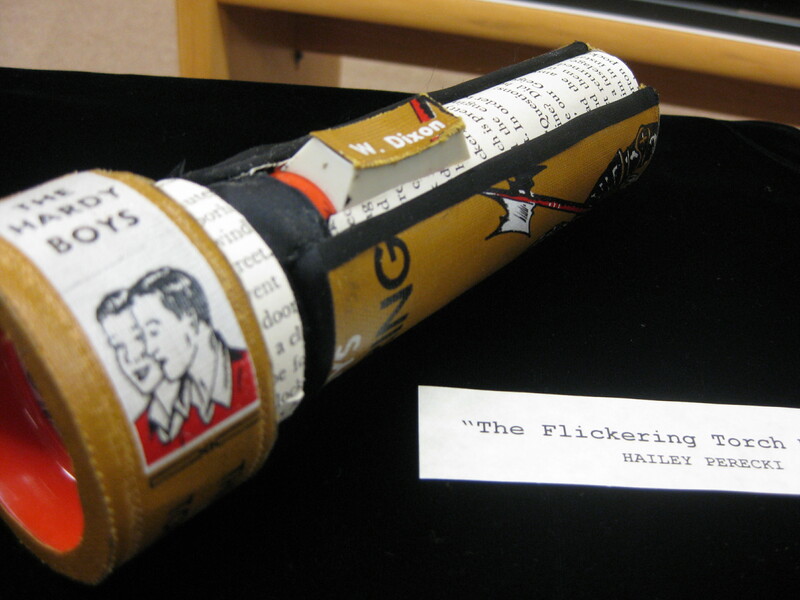 This year 9 Artists Books entries are on display at the library. 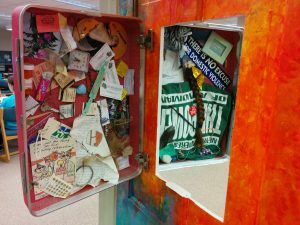 The exhibit will remain on display through March 14. 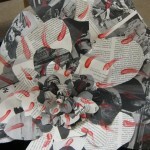 Are you interested in learning more about art made from books? We have a lot of information in our stacks to aid you in your quest. 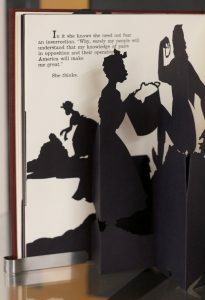 In “Playing with Books,” author Jason Thompson combines different decorative art techniques to demonstrate the art of book-reimagination. 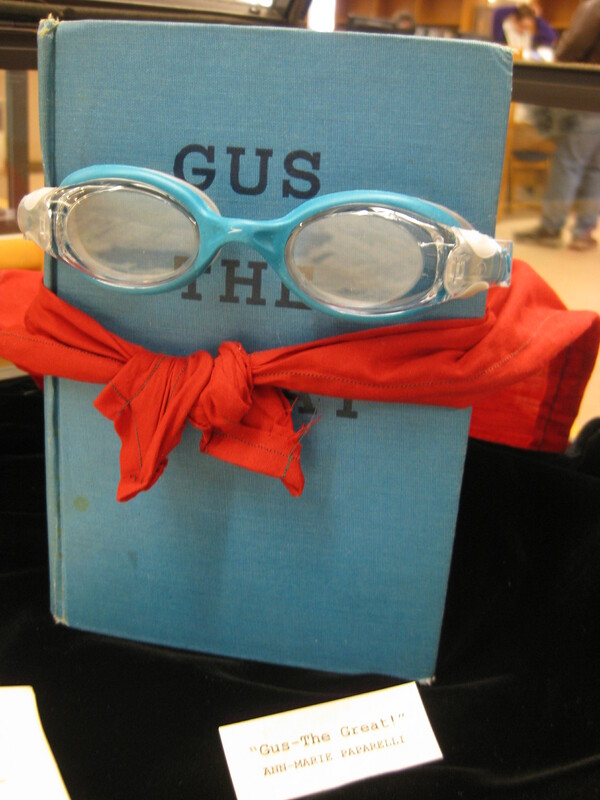 His book includes projects for artists to try themselves. In “Art Made from Books,” 27 visual artists come together to showcase their work with the print medium. This book honors celebrates the printed book and its role throughout history. If you want to find artists working with books online, you won’t have to go far. 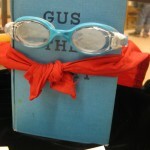 Visit this libguide on Book Arts Resources to get started.